Water is necessary for survival, and the very thing we consume is contaminated for millions of Americans if they consume water from a municipal source. Worse yet, people are at a loss as what to do about it. You’ve probably heard about Flint, Michigan and the exposure of lead from the city’s water source. Commonly accepted details are that city officials wanted to save money. They decided to unhook their citizen’s water source from Lake Huron, their freshwater drinking source, and connect them to the Flint River. Whether or not officials knew the river was toxic at the time of connection is of dispute. Flint residents, most notably children, were exposed to high levels of lead, causing brain damage and other health ailments. Penny-pinching officials failed to apply corrosion controls to prevent metal from leaching into the water supply. In Flint nearly half of households are connected to a lead water line. That’s like drinking water through a lead-laced straw. The EPA is winding up its investigation on the 18-month exposure, but it still doesn’t know what to do about it. Did you hear that bubble pop? If you believe Flint is a secluded incident this is where the bubble you’re living in gets popped. It is not only Flint that is exposed but cities all across the United States. More than 200 million Americans drink water with lead in it, exceeding the EPA’s safety limits. What if bottled water, is also from a tap? Nestle Co. is under fire for selling bottled water from a Phoenix desert. And, this isn’t the first time Nestle has been in trouble. It also happened in 2015 and 2012. The company we’ve fallen in love with for chocolate chips is bitter-sweet about maintaining its profit margin, and it isn’t alone. PepsiCo’s, Aquafina shares its public water source is combined with tap water. And, Coca-Cola admits its’ spring source water is from a municipal supply. Some municipal sources carry too much lead. Popular name brands of bottled water can’t be trusted. In Flint, Michigan one lady is credited with discovering what was in her water. LeeAnne Walters began testing her water after her family began losing hair. Her twins kept breaking out in rashes, and of them stopped growing. Her 14-year-old son had severe abdominal pain and was taken to the hospital. Her own eyelashes fell out at one point. That was the moment she knew the family had to switch to bottled water. She heated bottled water for the twins weekly baths and used baby wipes to clean them in between. Toothbrushing was done with a gallon of water left beside the sink. When Walters grew frustrated with her city government’s response she tested her water and contacted the EPA, setting off a string of investigations. A variety of inexpensive tests sold online to determine the amount of lead coming from your tap. Most range from $12-$30. 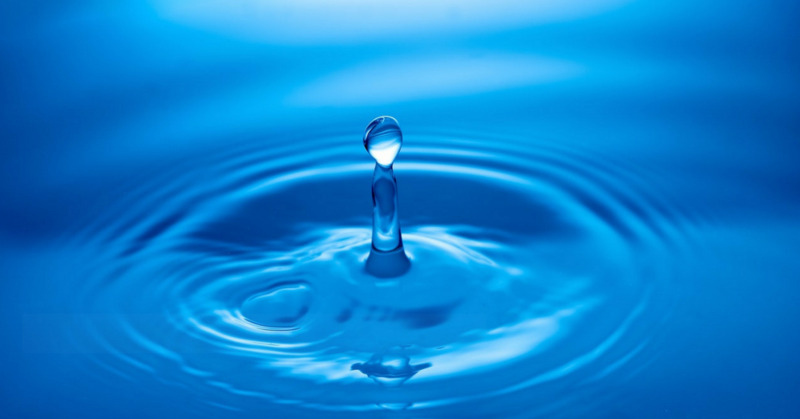 Tap water comes from surface water (rivers, lakes, streams), or groundwater (wells). It is purified and chlorinated before it reaches your home. Fertilizers, nitrates, and chemicals from pesticide runoff find their way into our water supply. The goal is to keep contaminants at a minimum and within the EPA’s standards of the Safe Drinking Water Act. Average healthy humans remain fit when their drinking water follows these guidelines. Run It. When a particular faucet hasn’t been used for six hours or more, “flush” the cold water pipes by running the water until it becomes as cold as it will get. Drink Cold. For drinking, cooking, and preparing baby formula, always reach for the cold water tap. Hot water is likely to contain higher levels of lead. Re-Strain. Routinely clean and replace faucet strainers, which can accumulate debris, metals, and other sediments. Take a Sniff. Smell rotten eggs, chemicals, or an earthy or metallic-type odor? Go Filtered. Pregnant women, children under the age of 6, and those with weak immune systems should opt for filtered water to keep harmful contaminants away. Water purification tablets are small, portable, and inexpensive. Drinking filtered water from the fridge is easy. Cartridges cost around $30 in home improvement stores and are cheaper online. Reverse osmosis systems range from $200-$300, in home improvement stores. A whole house reverse osmosis system costs nearly $1,300 on Amazon, before installation. Water is different from each municipal source. Hopefully, your tap is clean and within safety guidelines. If not, these tips provide first step evaluation. Recommendations suggest a person drink eight-8 oz glasses of water each day. It’s worth a sniff to make sure yours is safe. Cheers. If you are concerned about what’s in your water, then you definitely want to know if something is lurking in your pantry. Check out this related post. This is a reader suggested topic. When you send topics via the comment forms on the blog or converse about them in the Facebook community, they get explored. Come, be a part of the conversation.